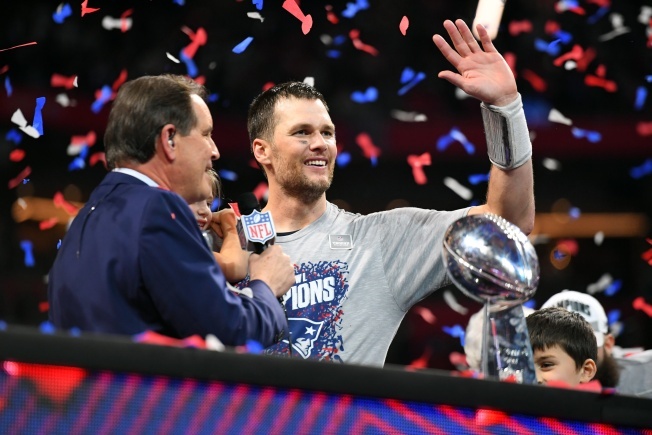 The New England Patriots are Super Bowl champions again, and Twitter is here with great stats, memorable videos and hot takes sure to fire up a whole offseason's worth of debate. The Pats beat the Los Angeles Rams 13-3 in Super Bowl LIII on Sunday night at Mercedes-Benz Stadium in Atlanta for their sixth championship in franchise history. Here's some of the best Twitter reaction to the Patriots winning another Super Bowl. Never imagined that in this era of rules in Football, that a top 2 scoring offense will be held to 3 points in the Superbowl. Sean McVay and Jared Goff were taken to school.
.@Patriots like that team that runs the floor in open gym and never loses and u hate em...unless you them. Ending that 3-month Boston championship drought. And, of course, some of the most fierce Patriots critics in the media couldn't help but stick to their guns. If u were convinced that Brady is GOAT off that performance, not sure what game you watched. Brady didn't even play well. No TDS, pick and a fumble. Smh. Brady almost turned in a Manning-like performance in his 2nd Super Bowl win. Defense won game, not Brady. Not hate,just facts.